This is a toy sized 30-hour clock with a fully functional swinging brass pendulum. Note that the back of the nickel plated case is one big winding key. 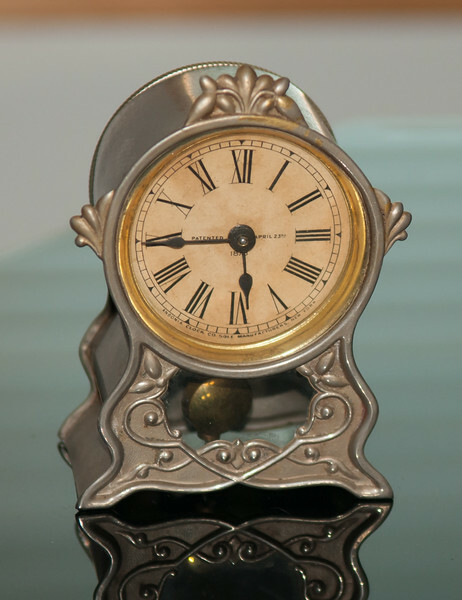 The paper dial is marked "Patented April 23rd 1878" and "Ansonia Clock Co. Sole Manufacturers New York".